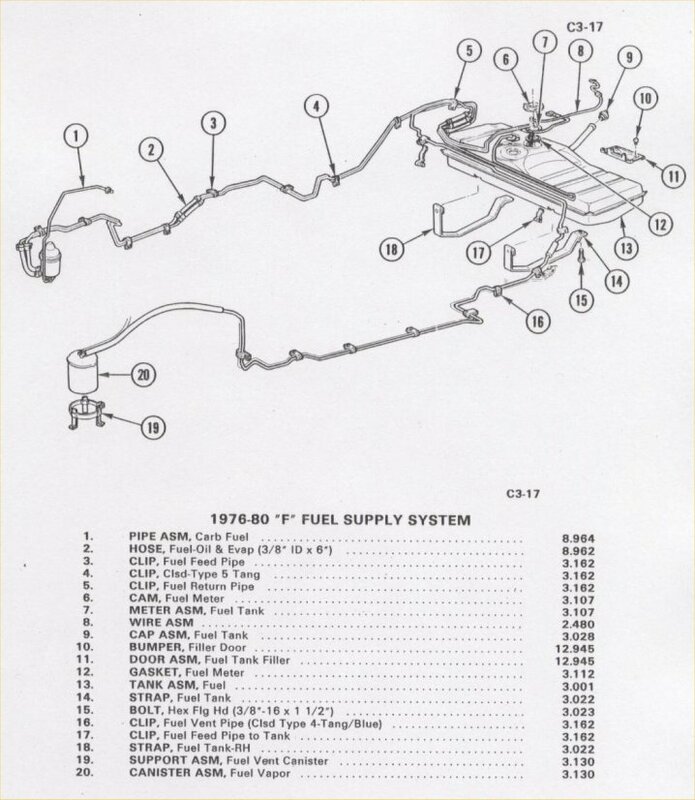 The fuel system is comprised of the carburetor, fuel pump, gas tank and fuel lines. Also included would be the Air Cleaner assembly. There are some emissions components associated with this as well. Quick and dirty overview. Keep in mind, this is a system... all the parts are designed to work together to supply fuel to the carb. 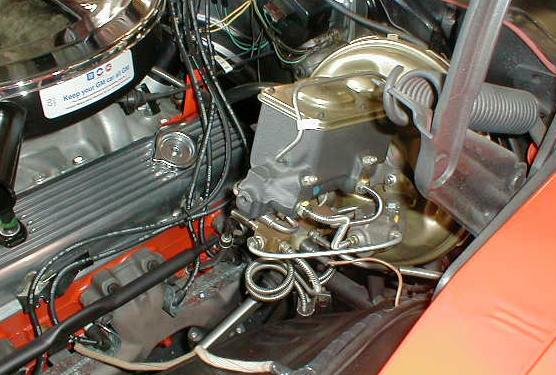 Only the highest performing 396 and the Z28 (until 1973) used a Holley carb. They look racey and are easily tunable. All other 4 barrel applications used a quadrajet carb (in various CFM's). Low performance applications used a 2 barrel carb, while the 6 cylinder came with a 1 barrel carb. Specific Carb usage is contained in the engine specific sections. All Camaro fuel pumps were mechanical. They're pushrod driven off a lobe on the cam. They pull gas from the tank and push it up to the carb. Typical performance is 4-5 PSI at the pump outlet for the L6 engine and 7.5 to 9 PSI for V8 applications. From 1970 to 1973 the Camaro used a 19 gallon (approx.) tank, or an 18 gallon (with EEC) gas tank. In 1974 the size was increased to 21 gallons. 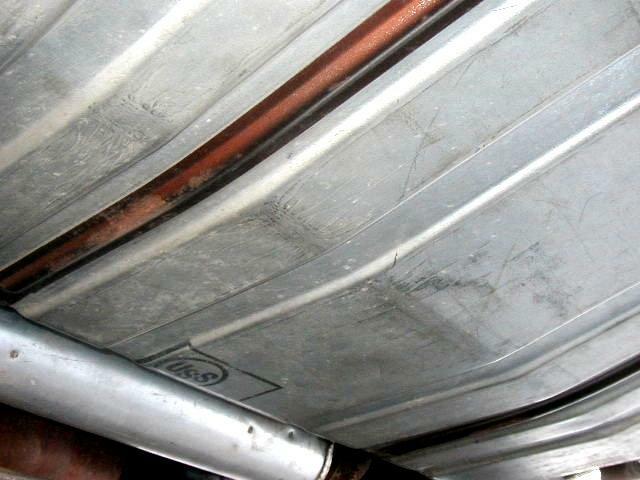 Low performance cars used 5/16" supply lines. Performance cars used 3/8" supply lines. Some cars required a return line. Some cars also had a vent line. The ONLY Camaro to have an open element air cleaner was the 1973 Z28 and 1970 L34 396. All other cars (including Z28's) had some form of snorkle(s) on the air cleaner assembly. If you've modified your engine you will often times require more fuel to burn, which means you'll need to upgrade your fuel system if your car can't supply enough gas in stock configuration. You may do this by using other components from a car/engine which produced similar results that you're now after (i.e. 360hp Z28), or by using aftermarket parts. These issues are dealt with in the performance section of the site. This section will deal with putting your system back together correctly using the original parts.